Welcome to Hummingbird Pictures. 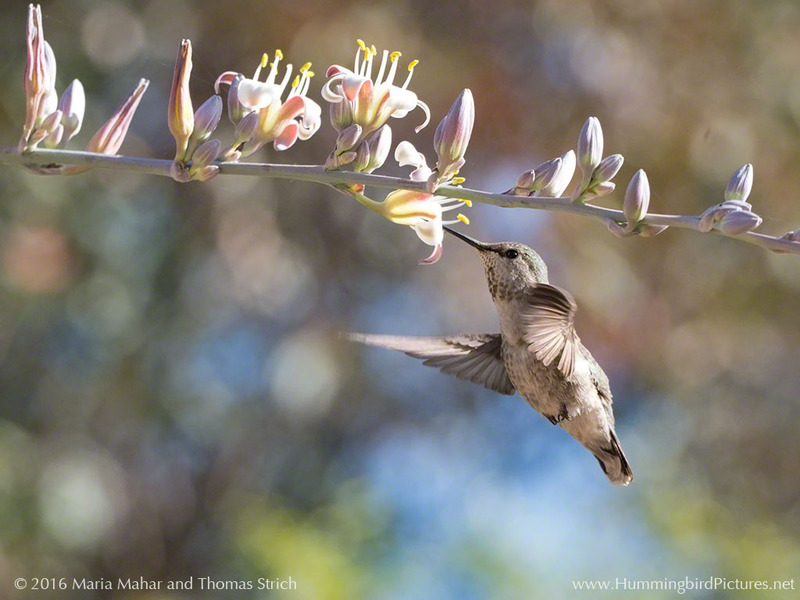 Come enjoy the beauty and behavior of the hummingbirds we see in Arizona and nearby regions. The material here is meant for all ages. 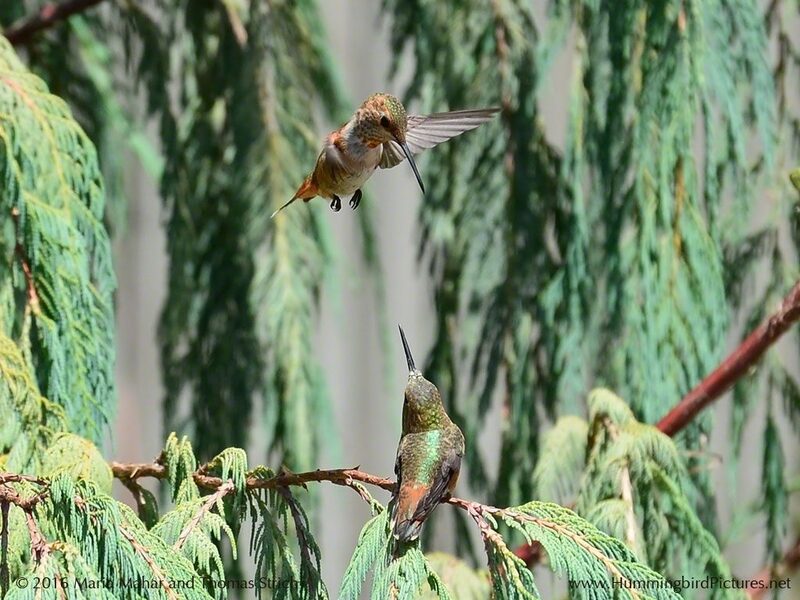 Hummingbirds capture our imagination like no other bird. Tiny, beautiful, and acrobatic, they seem exotic. 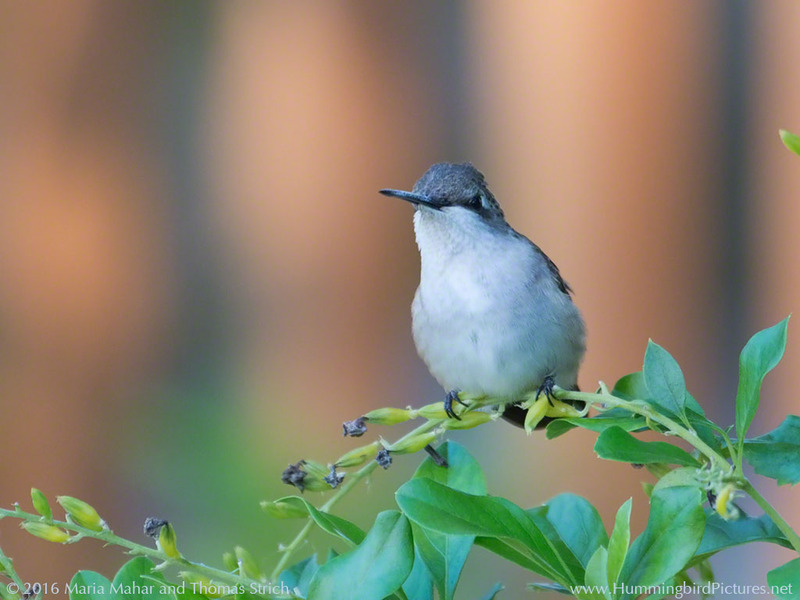 But more than a dozen different hummingbird species live here for some or all of each year. 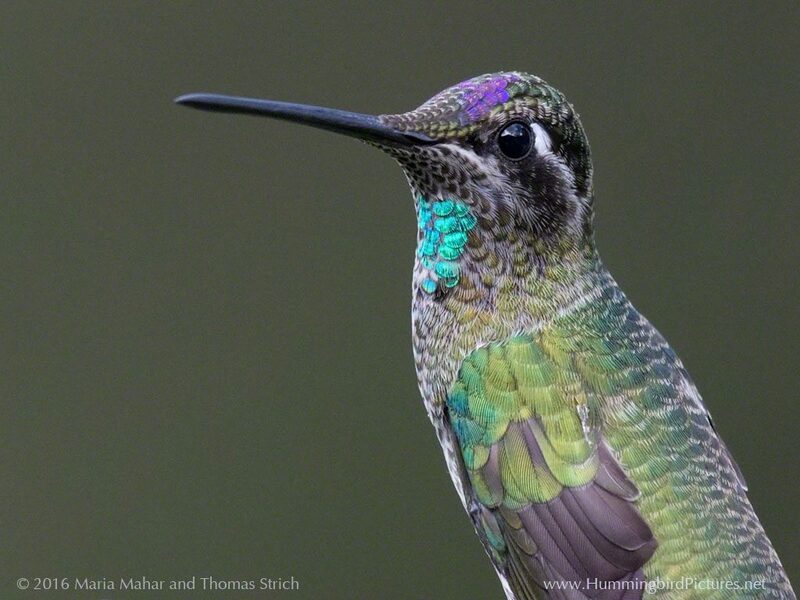 Hummingbirds bring a hint of the brilliant tropics to us, with their iridescent feathers and long bills. 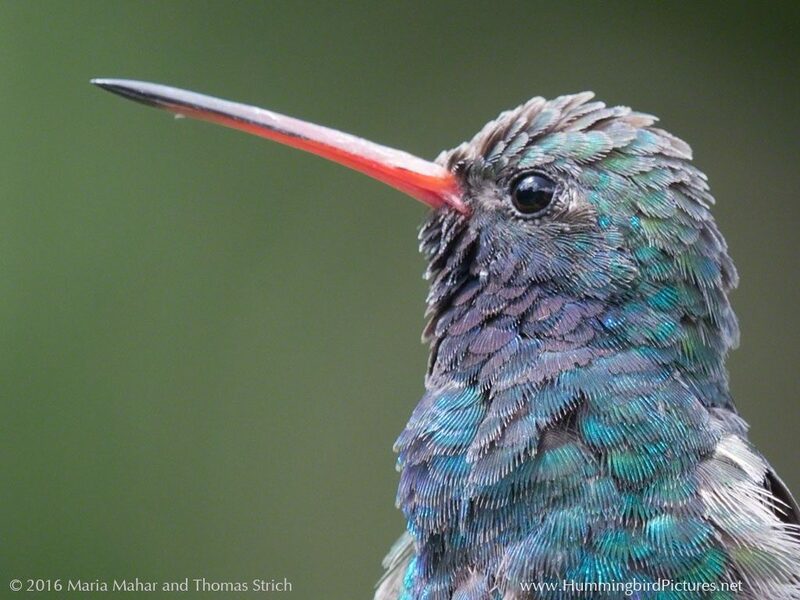 The Broad-billed Hummingbird has colors similar to many tropical hummingbirds. 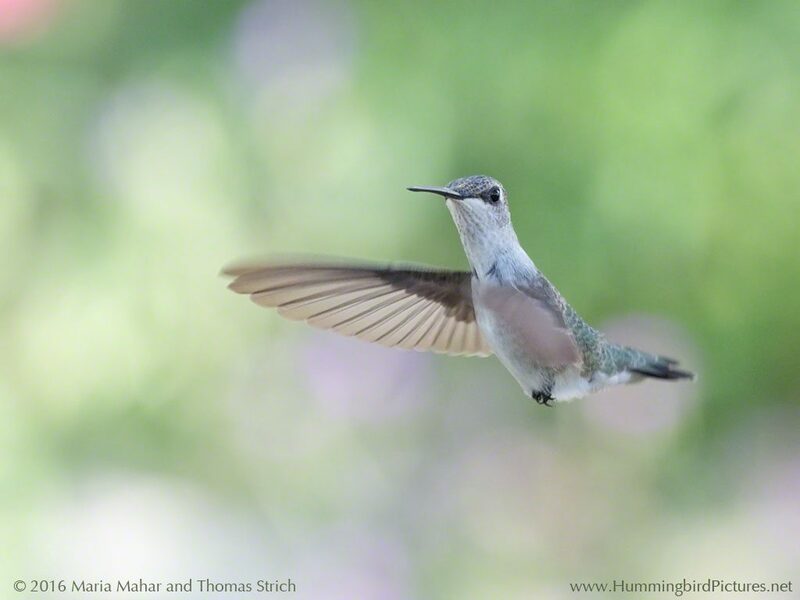 No other bird flies like a hummingbird. They hover before us, looking at us boldly. They can fly backward. They seem to appear suddenly, with rapid changes in speed and direction. Then, just as quickly, they are gone. 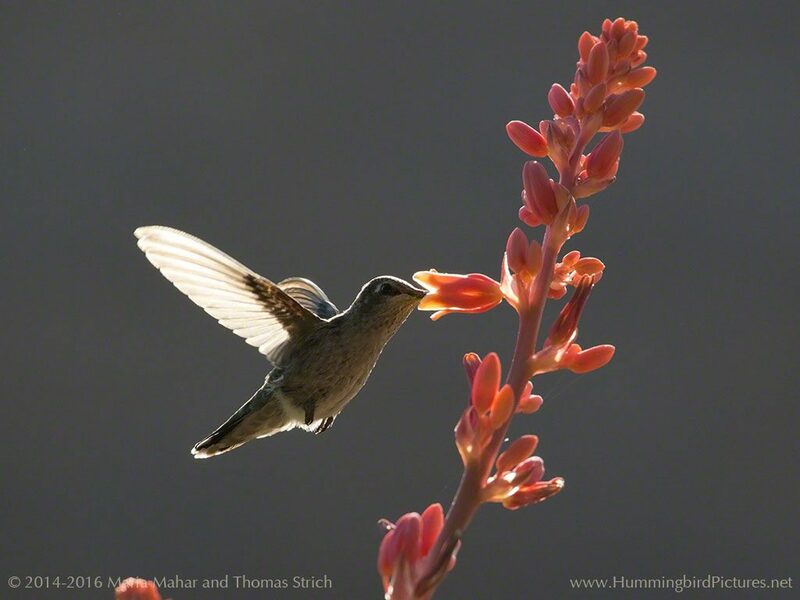 Hummingbirds have a magic for us, even in their daily activities. They are acrobatic in flight. They are watchful at rest. The males are fierce with their competitors. The females are tender with their young in the nest. They are small birds that migrate long distances. Some of these tiny birds migrate thousands of miles from Mexico and Central America to spend spring and summer days in our gardens, parks, and wilderness. 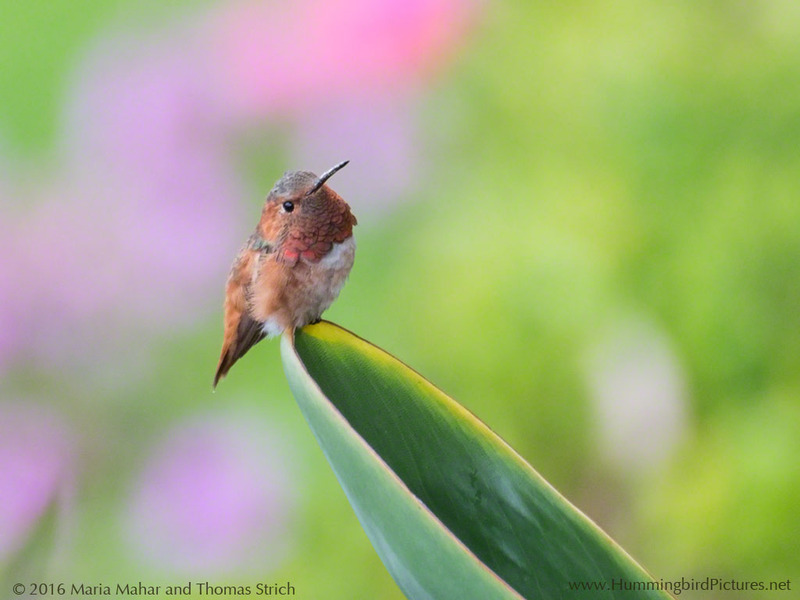 Many of us plant flowers to attract hummingbirds. 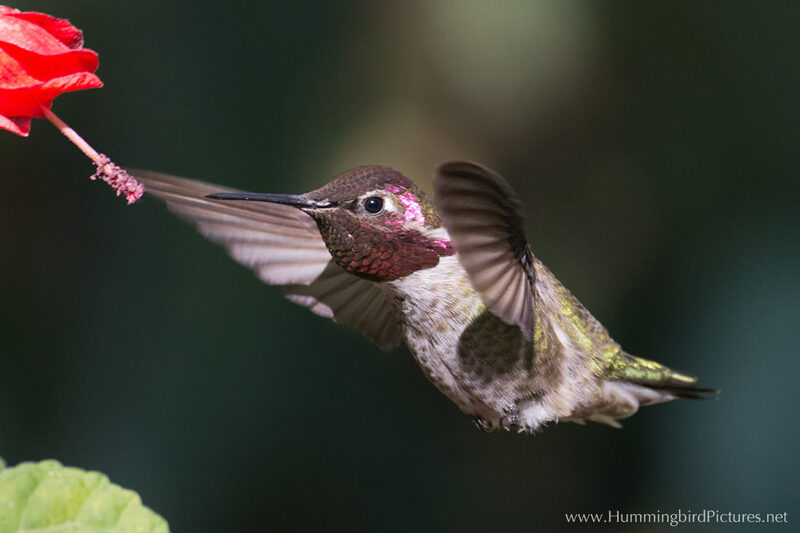 Many of us hang feeders in hope that hummingbirds will make our home a regular stop. They brighten our yards with their color and their antics. 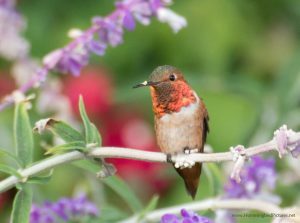 There are more than a dozen different hummingbird species that regularly nest in the United States. Some species are common and widespread. The Ruby-throated Hummingbird is seen across the eastern U.S. and Canada each spring, summer, and fall. Other species are seen only in a few places in the U.S. 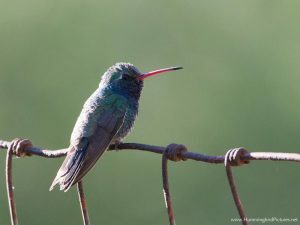 The Magnificent Hummingbird is typically only seen in mountain canyons near the border with Mexico. 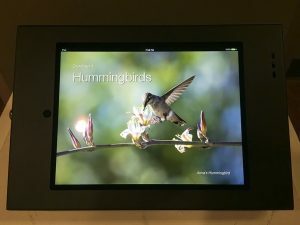 Hummingbirds are are best seen in motion – so we published an interactive ebook about hummingbirds in the United States. 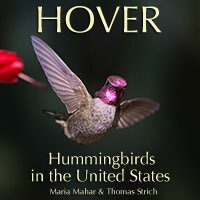 Download a sample of Hover: Hummingbirds in the United States from iTunes. Hover is meant for families, with simple language and fascinating information. The ebook contains HD video and slow motion video, as well as many photos of the lives of hummingbirds. And there is much more to explore on here on Hummingbird Pictures. Go here to see the species that nest here each year. 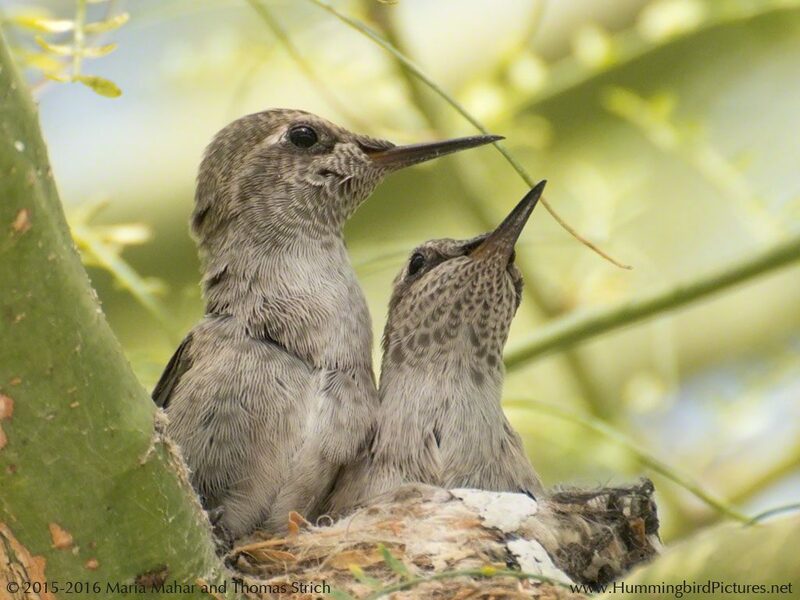 Go here to see our nesting hummingbirds and babies posts. 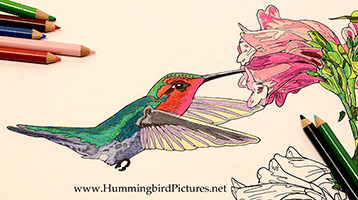 Go here to read the hummingbird pictures blog. Go here to attract hummingbirds. Go here to see our favorite hummingbird feeders, books, and gifts. We give interactive presentations on hummingbirds in the United States. If you are interested in having us speak to your school or community group, please send us a message here. Bring hummingbirds into your life.